Let’s start from Ellie, modern and fast engaging premium free WordPress theme made with love for Fashion Stores, Magazine, Newspaper, and Personal blogs. 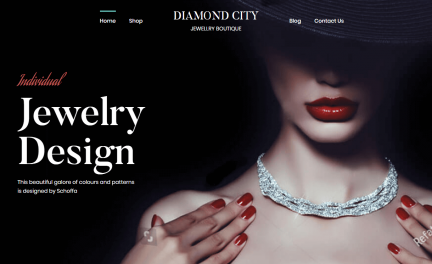 Also suitable for creating any type of online fashion website and many more.This amazing free Woocommerce theme was designed and developed by Transparent Ideas. A dedicated team, 7 years in the making, of experienced members, who easily handle multiple WordPress projects such as Handy Handmade theme, Dash Furniture theme, StoreX Electronics theme, Brideliness Wedding theme, Bikeway Sports theme, Chicky Fashion theme and other bestsellers. Tech team proudly calls Ellie a brilliant theme of next generation. It has been equipped with Elementor drag and drop page builder to help you visually create end-user experiences just the way you want them to be.Well-compiled and optimized code of all custom widgets, banners, carousels and powerful shortcodes guarantees full page downloading for less than couple seconds. Theme is overloaded with a huge array of specific page templates for all kinds of usage cases. Stylish, expressive,feature-rich and SEO friendly functionality transforms blank WordPress into an endlessly versatile/remarkably reliable website building toolkit. It comes with a compact and elegant side menu that perfectly complement the overall design of the theme. Custom-crafted Revolution Slider slideshows will make your customers fall in love with your stuff in the blink of an eye. Modern SEO system maximizes your traffic. This free theme is WordPress 4+/WooCommerce 3+ ready and looks wonderful on HiDPi displays. Coders didn’t override Woocommerce default templates, as a result, all Woocommerce related plugins can be updated anytime without ruining current data. Google Fonts compatibility, countless color features, layout settings are given. YouTube and Vimeo video platforms can be also used. Highly configurable and fast loading Home, Blog, Shop, Gallery pages. Be sure to check out the Ellie live preview and install Demo Data Installer, with no coding required. You don’t need to be an expert to get the results but support team is online around the clock and always ready to handle any theme related questions. Ellie is available in free and PRO versions. ShopIsle is an aesthetically accomplished and elegant free WordPress theme for online stores. Theme code is clean, validated and editable by any person with just enough HTML/CSS/PHP knowledge.This building platform can be used in all major web browsers. User-friendly and highly intuitive functionality allows easily update website settings like logo, social links, colors/layout from an easy to use interface which will guarantee interesting experience through theme options panel. Hardware-powered according to all HTML5/CSS3 standards. As for localization, all built-in text can be easily translated to needed language without any modifications to the source code. Woocommerce is one of the most profitable fields in the world, therefore, theme coders did all the best to make ShopIsle WooCommerce ready and also featured on BootstrapZero for being one of the top free responsive WordPress themes.All default Woocommerce features were restyled according to the total theme design. Smartphones and tablets users will be impressed with adaptive navigation system.Theme is forced with Contact Form 7, so you can simply stay connected to your target audience all the time.Portfolio section will let your audience know who you are and what love to do. Polite support agents will help to deal with sided SEO and multilingual functionality if needed. With ShopIsle by your side, no business undertaking can meet anything but success! FashStore is a creative, visually enticing and extremely responsive free WordPress WooCommerce website theme. 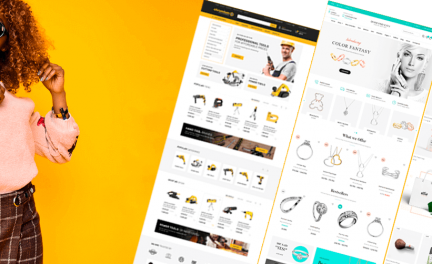 Theme is totally built on Customizer with deep level of Woocommerce integration, never done before. WooCommerce’s native settings were remained and ready to be improved by official sided extensions.Easy to configure slider to promote your products and have graphical freedom.Background/color features allow personalizing any page as well. All home page components are configurable and give a high level of personalization. Boxed/full layout, multiple category display layout, 4 page/post layout, grid/list archive view, 6 widgets, advanced product and content search and many more. Theme contains Promo Ticker that can be configured the way you like, SSL badge and credit card icons upload. Fully prepared for the modern landscape of social media. Optimized for fast loading. Demo content is provided, and it can be imported in a matter of seconds. Also includes limitless customization capabilities. Stop your WooCommerce and SEO friendly free theme search here. ShopLine is a deeply attractive, colorful and fresh-faced free WordPress theme. It was built for WooCommerce, equipped with wonderfully time-saving one-click demo setup feature and highly aesthetically refined visual/layout settings. This free Woocommerce theme is a combination of really awesome features, premium plugins, intuitive tools, strong HTML5 backbone greatly enhanced by cutting-edge CSS3 scripting technologies. Well-validated code gives an opportunity to use any kind of WordPress drag and drop contentbuilders: SiteOrigin, Beaver Builder, Visual Composer, Elementor etc… Section ordering feature gives an opportunity to change their positions anywhere on the site Add different types of background in Front Page Hero. Pick any color or gradient color for background with color for each element. Adjust the page width using Dynamic Page Width feature. Default theme functionality is forced with 6 and 5 different hero layouts for front and other inner pages accordingly. It supports SVG design, Content Alignment feature (left, center, right) and Custom Padding as well. Just choose the category and Category Slider’ll show them in slides with styling. Integrate social media campaigns with Instagram and Twitter feeds. Various typography and color options feed ensure a unique website every time. With the help of Contact Us Page Template, you can create a subscription form and a contact form with unlimited fields as well as store leads too. ShopeLine is well documented and supported as well. Don’t pass through, just install it and create the project of your dream. Styled Store is an incredible free WordPress WooCommerce theme as the latest addition to Styled Themes. Mentioned theme for those who appreciate and understand quality.It incorporates many impressive features. StyledStore was designed to provide clarity, maximum content exposure and ease in navigation on all type of devices. Outstanding and adaptive design can convert any curious visitor into a loyal enthusiast. User-friendly functionality provides the option to create pages with left/right sidebar or full-width pages. This will be effective. Coders from Styled Themes team constructed it with Bootstrap 3.0, and it features a flawless, modern code according to HTML5/CSS3 standards. Theme is technologically powerful and WooCommerce ready. Drag and drop any section of the theme using so intuitive features of premium contentbuilder. Product quick view option allows observing product details. Thanks developers for One Click Demo Importer and the informative detailed documentation/video tutorials. Shop price filtration, custom search, well-crafted header/footer sections, custom Slider etc. are given. Even newbie can create a page with needed layout and elements in a matter of minutes, without writing a line of code, and with a strong focus on visual elements.StyledStore free WordPress theme will turn your online store into profoundly stylish presentation that will delight users. Feel free to purchase PRO version as well. I want to suggest one more WooCommerce supported theme named Kosmic. It is a multipurpose WordPress theme suitable for any kind for business. It has lots of awesome features like provides customized theme options, In-built custom widgets, fully responsive, cross browser compatibility, AJAX shopping cart, well designed mega menu, awesome blog designing options and many more.